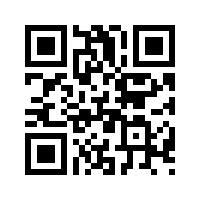 A complete Put in Bay Ohio restaurants and bars guide with contact information. Put-in-bay has no shortage of variety! From a cheeseburger in the paradise of the north to a fine dining experience, you will find what your heart desires from the list below. If you are interested in reading Putinbay restaurant reviews, we recommend the Put in Bay Food Blog as a site which features a weekly column on different island eateries, bars, festivals, and anything food related that happens on our little resort island. Many establishments serve outstanding food by day only to evolve into venues for great Putinbay entertainment by night. From one-man bands to nationally known acts, you are sure to find excitement and variety at Put-in-Bay! Mr. Ed's Bar & Grille Editor's Choice! Mr. Ed's Bar and Grille, known for their entertainment and nightlife is located in the heart of Put In Bay's vibrant downtown district. The bar and grille is connected to the new section of the Commodore Resort, making it easy access for our guests. Mr Ed's offers great food from our expanded menu partnered with Cameo Pizza, onsite catering, and great entertainment. The bar features top rated bands from all over the U.S all week long with the help of a DJ mixing on the weekends. Mr Ed's Upper Deck is now converted into "The Green Room", Put-in-Bay's newest night club and chill spot. Have cookouts and private events by day, then relax to the sweet beats of DJ A-Dubb at night. Check out what's happening this month at Mr. Ed's Bar & Grille. Put-in-Bay Pizza Company Editor's Choice! Blue Marlin Tiki Bar Editor's Choice! Located within the Put in Bay Resort complex, the Blue Marlin Tiki Bar is a favorite for both guests and islanders alike. Offering thirst quenching frozen tropical drinks and a full service bar, this hotspot will surely cool you off. There is also delicious BBQ food available from the Blue Marlin and pizza from Put-in-Bay Pizza Co. Be sure to stop by and swim on up to the bar and cool off with us. The pool and bar is open to the public. Don't miss out on this PIB favorite! Mist Pool Bar Editor's Choice! Mist features a 15 seated center swim up bar, two waterfalls, four cabanas, VIP services, and a 2000 square foot pool, with a breath taking atmosphere! If you're a people watcher, a partier, or someone that just enjoys the view, then this is the place to be. A DJ spins every Friday, Saturday and Sunday afternoon, while on select nights acoustic performances are a must-see. Buckeye Tiki Bar Editor's Choice! Located at the Bay Lodging Resort, the Buckeye Tiki Bar is a favored hangout on Saturdays for the island's Ohio State crowd. Daily drink specials draw locals and visitors alike to enjoy the friendly camaraderie of the "Big Top" bartender. Relax poolside by the island's only indoor-outdoor swimming pool as you sip a frosty beverage and root on the Buckeyes! Subway Restaurant located in the Commodore Resort lobby. Enjoy a delicious "Five Dollar Footlong" practically anytime of your stay at the Bay. This Subway is open til three o'clock in the morning during season. Grab a sub when you check in and save it for the midnight munchies to avoid the line after the bar closes! Subway offers discounted rates for field trips, large groups, fishing charters, or any of your catering needs. Take advantage of our sub platters or a six foot sub specials. Subway offers coffee daily and breakfast on the weekends! Big Mans Burrito Stand Editor's Choice! 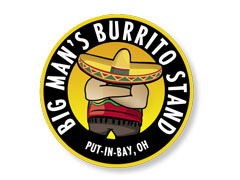 Big Man's Burrito Stand offers a wide range of Mexican options, from jam-packed steak burritos featuring rice, cheese, lettuce, black beans, sour cream, salsa and other fillings, to the simple classic soft carne asada (pork) burrito. There are also vegetarian options for those who don't eat anything that used to have a face on it. Frosty's Family Pizza & Bar Editor's Choice! Well known for it's pizza, Frosty's also serves sandwiches and is a must experience for an outstanding breakfast. Serving up some of the coldest beer on the Island, it's a great place to gather with friends for a game of pool. Enjoy lakefront dining at the lobster bisque capital of Ohio! The Boardwalk offers fresh seafood and more in a casual family dining atmosphere. A great mix of live entertainment is featured throughout the summer season. Voted one of the 10 best boating destination bars in the country by Motorboating Magazine, The Boardwalk provides 80 mooring buoys and a harbor taxi for boaters. An island favorite since 1952, Chicken Patio is famous for its homemade wine-based sauce, made from scratch daily. Watch the chicken dinner, which includes BBQ chicken, sweet corn on the cob, potato salad and a dinner roll, cook on a 21-ft. charcoal grill before you enjoy it yourself. Outdoor seating is available in the heart of downtown Put in Bay on Delaware Avenue. Hooligans is Put-in-Bay's Original 'Irish Pub and a Snug, With Music and Grub.' Featuring Reuben and Corned Beef sandwiches, Fish & Chips, Shepherd's Pie and other delicious menu items. We also boast a wide variety of Irish Whiskeys and all your favorite spirits. Enjoy any one of our Draught Beers including, of course, Guinness -- all poured in our 20oz Pint Glasses! Beautiful inside and out, Hooligans is proud to be your "Getaway at the Bay!" A true island dive bar in the tradition of old Key West, Joe's Bar's motto is "Beer is Food. Eat at Joe's." Stop by for a personal atmosphere you can't find downtown and to chat with the lively locals. Besides serving cocktails& beer, and housing a beverage store, Joe's dishes up island famous sandwiches - most notably the Sloppy Scottie - that are both delicious and affordable. The Keys features both dining and decor to put you in a "Key West" mood right here at Put-in-Bay! Our restaurant and bar is the perfect Island destination for friends and family to get together. Every seat in the house provides a waterfront view. Casual Tableside Service offering Breakfast, Lunch and Dinner features Caribbean and South Florida Favorites. Join us at The Keys for a taste of something unique. Mossbacks is an upscale casual restaurant with great views of downtown Put-in-Bay, the park, public docks and Lake Erie. Lunch and dinner are served daily; breakfast is served on the weekends. Specializing in fresh perch and walleye, 1/2 lb. burgers, steaks and chops, grilled paninis, fresh salads, delicious appetizers and desserts, Mossbacks also has a children's menu for the little ones. Located in what used to be the Doller building, built in 1867. Order a famous Bucket of Beer at The Roundhouse, the big red hug in the middle of downtown Put in Bay. This island hotspot for bucketheads and others has been serving up hot music and cold beer for more than 130 years. Enjoy live entertainment twice daily from mid-May until mid-September in a casual atmosphere where peanut shells on the floor are okay and you'll never get cornered. Open from noon until 2:30 a.m. on weekends. Located on Catawba Avenue, Reel Bar is your "first and last stop" in downtown Put-in-Bay. REEL BAR offers breakfast, lunch, dinner and our "late night burrito bar"" throughout the summer. Looking for libations? Try the signature fresh squeezed drinks, our 16 ice cold drafts, or a drink from the creative cocktail menu while enjoying the day on Reel Bar's expanded deck. Thursday nights you ca be the star with Karaoke. Reel Bar shows why they have been voted Put-in-Bay's Favorite Entertainment Venue as their stage is graced every Friday and Saturday with some of the best entertainers in the region. Reel Food, Reel Music, Reel Fun, Reel Bar! Situated within the Harbor Village complex, Blu Luna has a variety of options for all tastes. Wood fired pizzas and fabulous martinis are a few examples of the great offerings this eatery offers. Enjoy views of Perry's Monument from their outdoor patio. Stop by and check out one of Put-in-Bay's newest offerings! Serving up Lake Erie perch sandwiches and baskets so fresh that the fish were sleeping in the lake last night! With their homemade Walleye Chowder, extensive barbeque options and kids' menu, The Boathouse is a great place for the whole family to dine. Eat outside on the patio for a view of downtown Put in Bay and Diriviera Park. Live music on the patio by the afternoon and on the stage inside by night. Serving its traditional favorites, Put in Bay's Dairy Isle is a great family stop for "hot eats and cool treats." Whether you're ordering your usual pick or venturing to try something new, you'll be sure to enjoy your ice cream in downtown Put in Bay, near the Jet Express dock. An eclectically decorated neighborhood bar with large front windows looking out at the park and the Put-in-Bay harbor. Heineman's Winery has been producing some of Ohio's finest wines since 1888. Stop by to take a tour of the winery, then enjoy some wine or grape juice with a plate of cheese and crackers outside in the wine garden. Grapes are cultivated right on South Bass Islands, resulting in "vine to wine" quality control. Try the Pink Catawba, the island favorite. The winery is also home to Crystal Cave, the world's largest geode. Located between the church and the putt putt, The Goat provides a calm oasis from the bustling of downtown. Outstanding comfort food is served in a beautiful setting that was once an original island winery. All the wonderful soups and sauces are made from scratch daily. Enjoy everything from meatloaf to walleye, or try the original perch taco. Stop by on your way to Put-In-Bay winery or in to town. Mama Maria's homemade Italian food always hits the spot. Don't leave without trying an Italian Meatball Sub or a gooey slice of cheese pizza. Located downtown at the Edgewater Hotel with a patio that has a nice view of the downtown area and the harbor. Open well into the night to satisfy those late-night cravings. Mojito Bay is located on the corner of Catawba and Delaware Avenue in the heart of downtown Put-in-Bay. 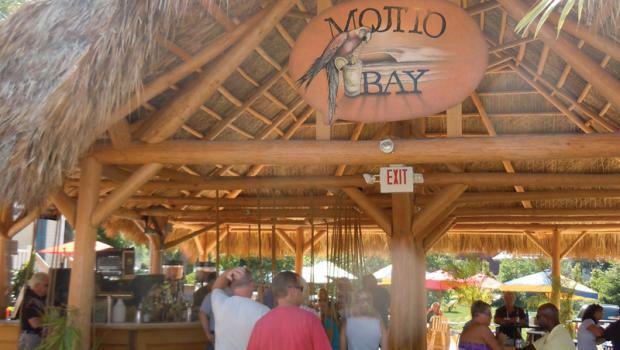 Swing up to the bar in a swing chair, put your toes in the sand, and hang out while enjoying one of Mojito Bay's famous refreshing Mojitos. Over the years, the building in which Pasquale's is located has been an ice cream shop, barbershop and U.S. Custom's Office, but is now a family-friendly restaurant with a fantastic view of the heart of downtown Put in Bay. Pasquale's has been serving breakfast for more than 20 years and is famous for its large selection of omelets. Stop by for an Italian-American lunch or dinner. A late-night island hotspot with two bars and a dance club at night, the Put-in-Bay Brewing Co. is South Bass Island's only brewery! Enjoy the famous pizza and sandwiches and sample the several different types of beer that have been brewed right on the island, including Summer Brew, Fat Man's Friend and Ole Cotton Top Irish Red. Live entertainment in the loft upstairs. Get out of town at South Bass Island State Park. Enjoy the fantastic lakefront view from the deck for breakfast, lunch, dinner or snacks at Put in Bay's best-kept secret. Park has playground, umbrella picnic tables, fishing, temporary dockage, glacial grooves, stone beach, beautiful sunsets and bikinis (only on women). Jet ski rentals and Hotel Victory ruins nearby. Families, kids and well-mannered dogs welcome. Topsy Turvey's Bar and Grill is located inside the Wharfside, adjacent to the Boardwalk and across from Mossback's. Topsy Turvey's is a fun, local hang-out with an outside deck overlooking the Bay. Home of the island's Cuban Sandwich, this small island eatery is big on producing good food and lots of fun. Open 7 days a week during the season and throughout the off-season Thursday through Sunday. Serving up fresh breakfast sandwiches, wraps, bakery and more - all homemade from scratch! Open at 6 a.m. daily, the Village Bakery has been tempting islanders and visitors alike for more than 12 years. Try the light-as-air palmiers or Edy's soft serve ice cream with chunks or soft yogurt for a cool treat. The Village Bakery is also happy to help you with your catering needs for any occasion, given 48 hours notice.